What an incredible night! I was worried that it was going to be really hot for Tyler & Rachel's surprise marriage proposal photos last night at Bug Light park in South Portland, Maine, but the temperature cooled with a lovely summer breeze, and set the perfect stage for their big moment. Tim created a video slideshow complete with a track that he sang and recorded (and took singing lessons for!) ending with his proposal to Rachel. How incredibly sweet is that?? 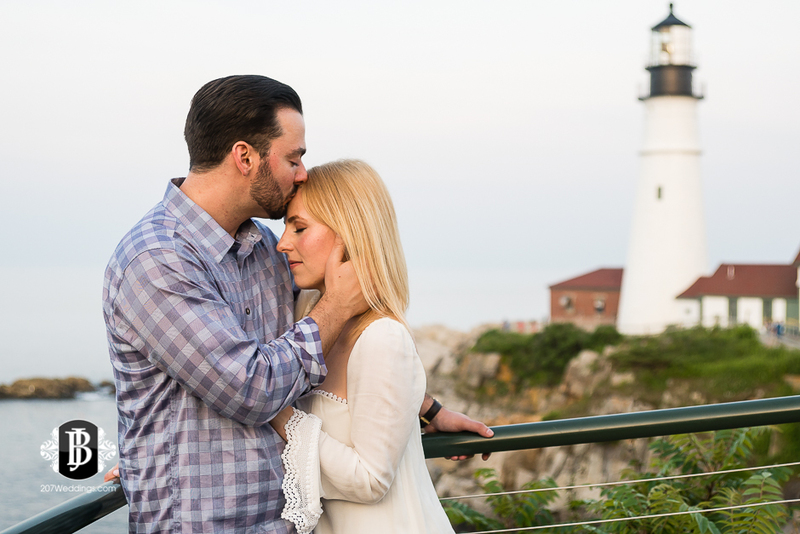 After some celebratory champagne and photos, we trucked on over to Portland Head Light in Cape Elizabeth, where the gorgeous light continued to glow for some more beautiful photos. I also loved helping Tyler find the perfect location and plan it all out together - it was so much fun! And I am absolutely loving how the photos are looking - I am so excited to share this sneak peek with you!